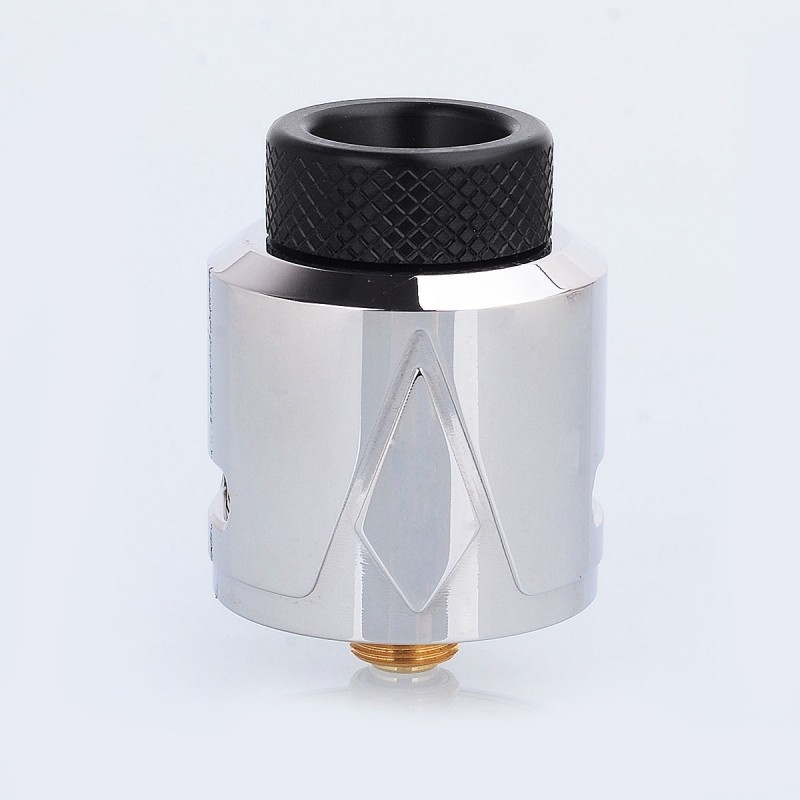 The Smokjoy Pyramid RDA is a 24mm atty that adopts innovative design for its posts, the Pyramid style post, which allows vapers to build coils much easier. 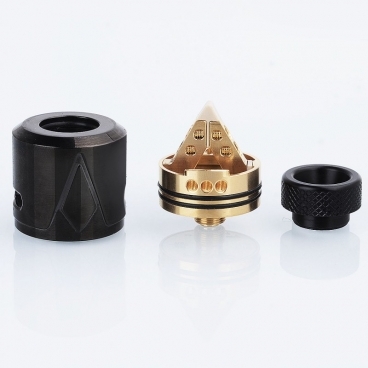 The gold plated deck and positive pin provides great conductivity. 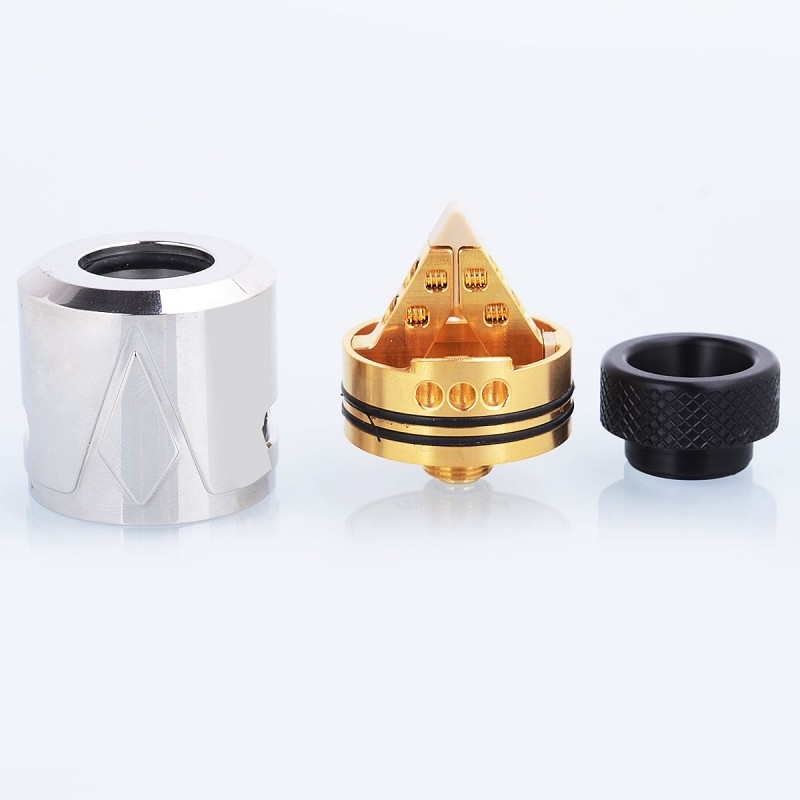 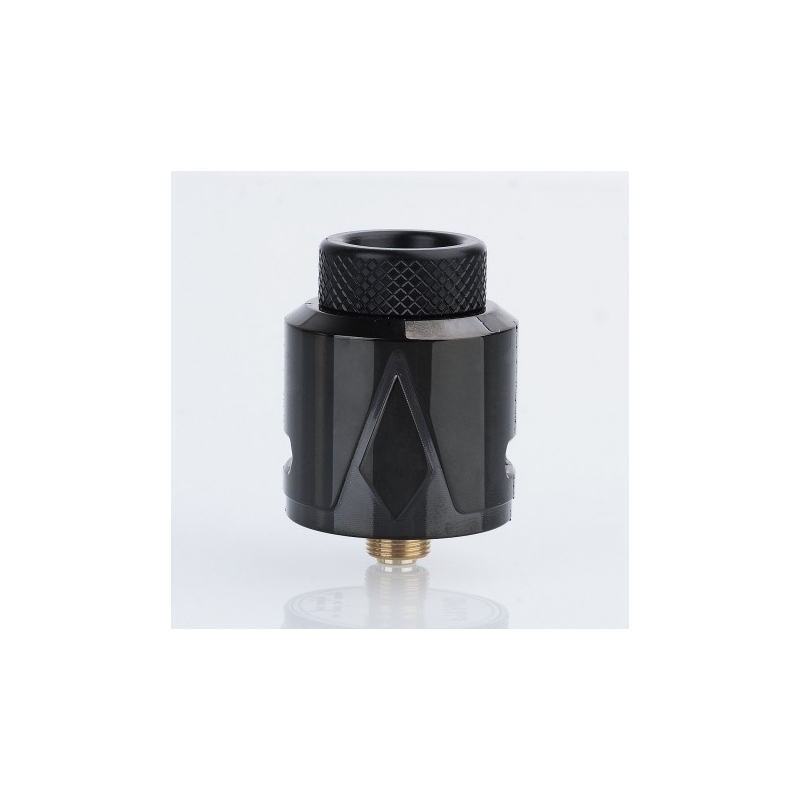 The airflow is adjustable with dual airslots on the cap.